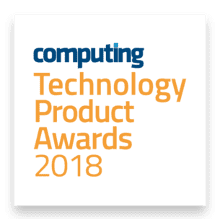 Woking-based Invotra is thrilled to have been shortlisted for the ‘Product of the Year’, ‘Best Business Application’ & ‘Best Software-as-a-Service Provider’ at the 2018 Technology Product Awards. Winners will be announced at the awards ceremony on November 8th 2018 at the Montcalm Hotel in London. In its application, Invotra demonstrated how they utilise constant improvement and agile methodology to continuously improve their product, and how they developed a motivating, positive culture within the company. It has a nationally recognised apprenticeship programme, wellbeing initiatives such as healthy breakfast and fruit always available, and a focus on fun with foosball and table tennis. Head over to http://events.computing.co.uk/techproductawards/static/vote-now to vote for us as Product of the Year.